Marsh acoustical panels Roto Snap-On option consists of a hardware kit - HDAP02 that contains two sets of anchors and related hardware. 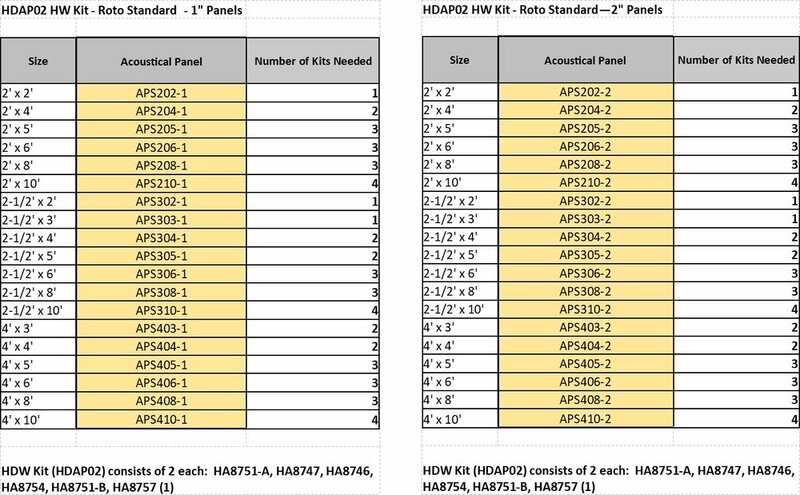 The number of HDAP02 kits corresponds to the size and thickness of the acoustical panel as listed below. Mounting hardware is not required when ordering acoustical panels and is an additional cost item. Marsh acoustical panels Impaling Clips are included with panel products at no cost. 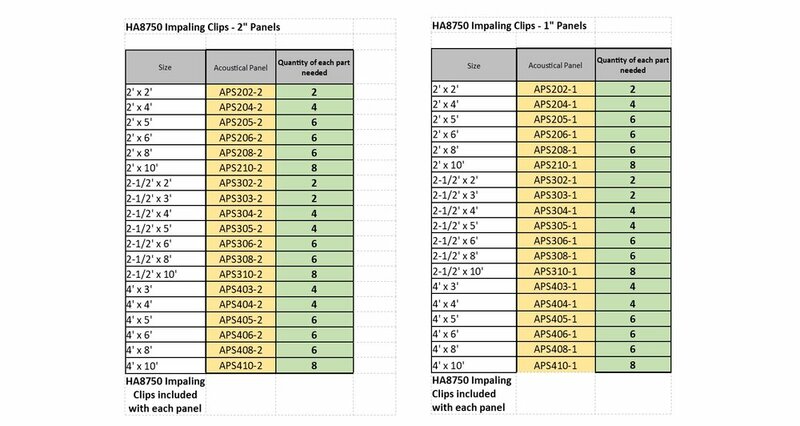 The number of Impaling Clips corresponds to the size and thickness of the acoustical panel as listed below. Hardware screws and anchors do not come with Impaling Clips.